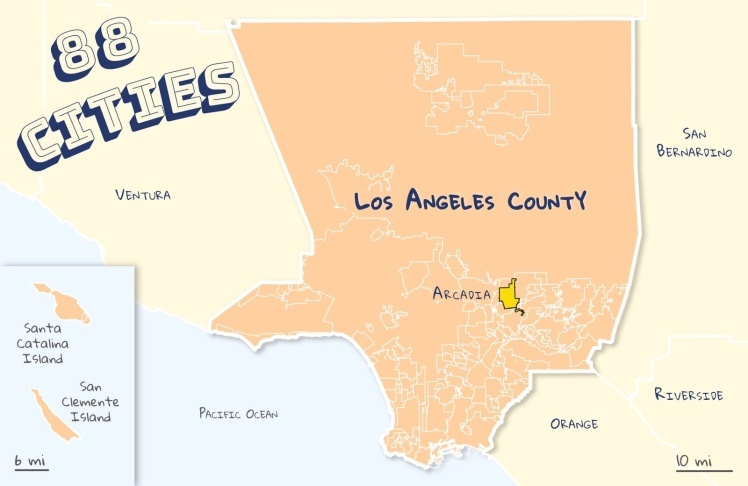 Los Angeles County has 88 cities, and KPCC/LAist plans to explore them all. We're recruiting listeners and readers to take us to the neighborhoods they live in and love. From Long Beach to Lancaster, follow our journey here and on the radio with Take Two. The city is often called Chinese Beverly Hills because nearly 3 in 5 people identify as Asian, a 30 percent jump from 2000, and the median home value is about $1.1 million according to Zillow. It was founded in 1903 by businessman Elias Jackson "Lucky" Baldwin (who was white), and for a long time mostly farms and chicken ranches stretched across the landscape. But a wave of returning WWII veterans in the 1940s were looking for homes in Southern California, and many planted roots in Arcadia. The building boom of single-family houses was so fast that, for a while, it was known as "The City of Homes." Then in the late 1970s through mid 1990s, Asian immigration to the U.S. took off with many of those people settling in the San Gabriel Valley. 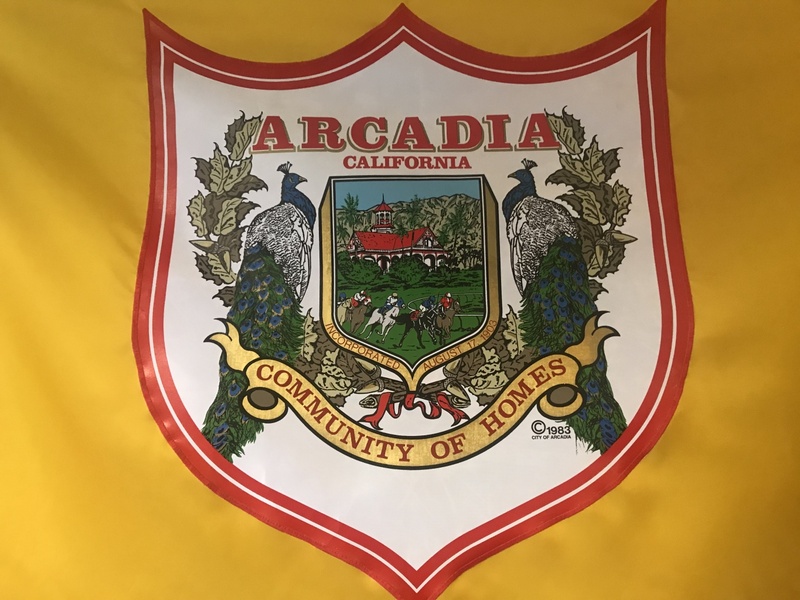 Eventually, the more affluent residents moved to Arcadia, building mansions in place of the bungalows and ranch houses to make the city what it is today. Thai, 18, is a recent graduate of Arcadia High School, and soon she's moving down south to attend UC San Diego. Favorite thing about Arcadia: "There's a lot of Asians around here, so it felt like home for my parents," she said. "My dad came here with nothing because he was a refugee from Vietnam, but he was able to work his way back up and build his own entire home." 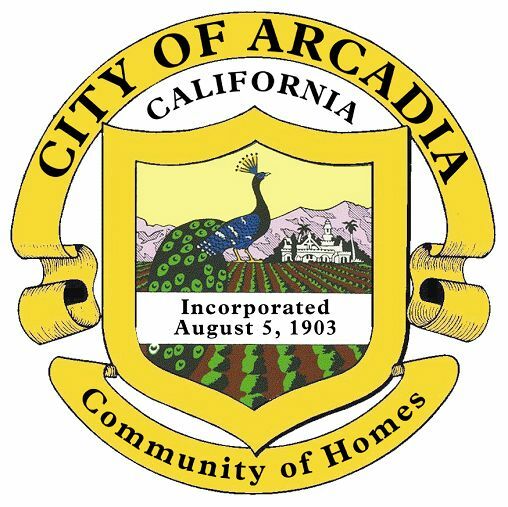 Homebuyers have to save a lot — or have a big stash in cash — to buy a home in Arcadia. Prices can range from a modest $500,000 up to, at the moment, $26.5 million. Thai's dad is a real estate agent who regularly brings her to open houses, so she knows firsthand how extravagant the "humongous houses" can get. Elevators aren't uncommmon, she said. Thai took us on a quick tour of some of the most notable homes that were up for sale as of late July. One home priced around $10 million advertised 8 bedrooms and 10 bathrooms, with a 12,000 sq. ft. floor plan. "It looks like something out of a fairy tale," said Thai. 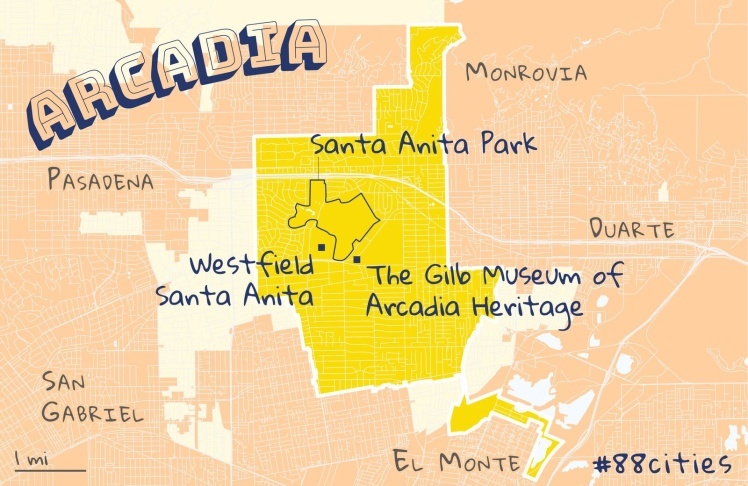 Local officials believe there's a simple reason why wealthier Asians in the San Gabriel Valley came to Arcadia to build their mansions — the city carved out lot sizes to be relatively big. "Big lots can handle big houses!" said Roger Chandler, an Arcadia councilman and former mayor whose family moved to the city in the 1960s. In the 1970s and 1980s, several families closed their farms. That land was then rezoned and subdivided for residential use. "[Buyers] would take an old house that was a chicken ranch like my father's, bulldoze it and build a very large house. Mansions," Chandler said. Some of these families, he added, wanted bigger homes to accommodate many generations living together under one roof. Sho Tay, Arcadia's current mayor, saw it happen firsthand. Born in Taiwan, Tay was part of the first wave of immigrants to the area in 1984, which was followed by another from Hong Kong. But it was the migration of mainland Chinese people to Arcadia in the late 1980s that transformed the city, he said. That wave was exceptionally wealthy, and the people who came found it cheaper to build a big home in Arcadia than China. "When China opened their immigration policies, more people were able to come out," Tay said. "They came here to take a look and went, 'Wow!' This almost like heaven to them." The school system was another big draw. Tay moved to the city to start a family because of the district's reputation, and so did Thai's parents in the mid-2000s. In fact, Thai's alma mater Arcadia High had a rare 100 percent graduation rate in 2018. 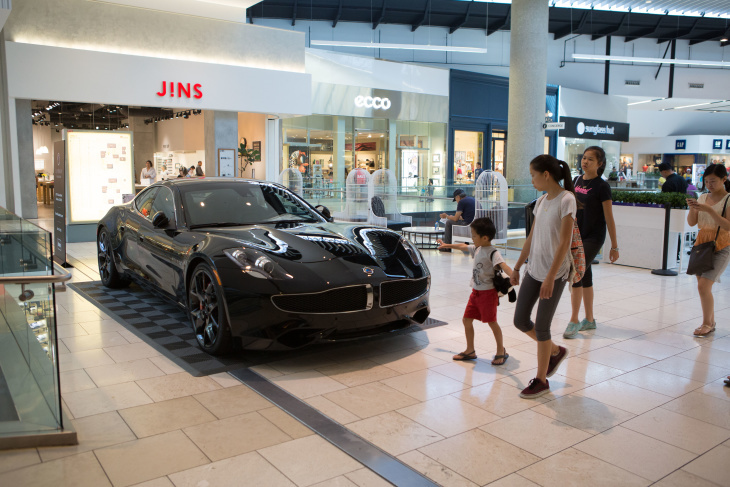 Arcadia's largest mall, Westfield Santa Anita, is one of the best places to see how the city's rich Asian residents spend their money and eat extravagantly. There are mall staples like Nordstrom and Swarovski. But next to them are places like Wing Hop Fung, a speciality Asian general store first established 1985 in downtown L.A.'s Chinatown, and Japanese eyewear brand JINS. "You can very much see how East meets West here," Thai said. "Everyone can come here and get whatever they're looking for." That's especially true for food. There's Din Tai Fung, the restaurant famous for its xiaolongbao, dumplings bursting with brothy soup. If you're lucky, you can head across the hall to Uncle Tetsu to snag a slice of Japanese cheesecake, which is more light and fluffy than its American cousin. "During the weekends, the line is insane because you have to wait, like, an hour," explained Thai. And the late food critic Jonathan Gold loved Side Chick for its Hainan chicken, where chicken is poached in a rich ginger-scallion broth and served with a side of garlicky rice. The food options are part of a concerted effort by the mall to serve the community. 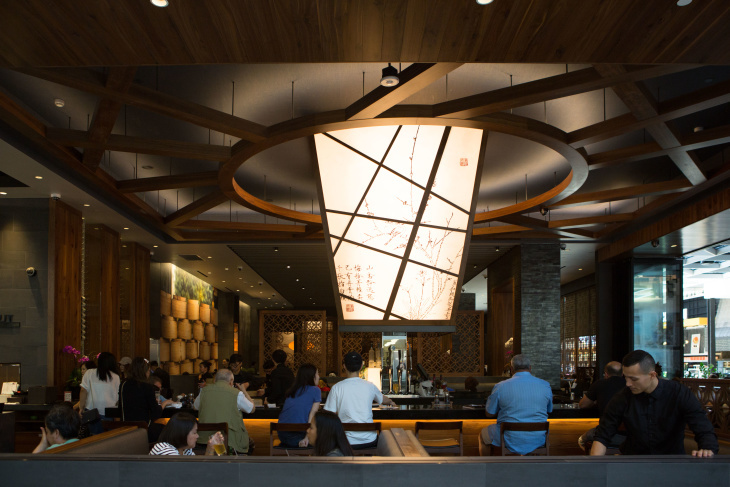 The company's architects congregated these restaurants in a promenade inspired by the hutons of Beijing, where narrow alleys and streets converge around a courtyard. Westfield Santa Anita also celebrates Lunar New Year and the Harvest Moon Festival. 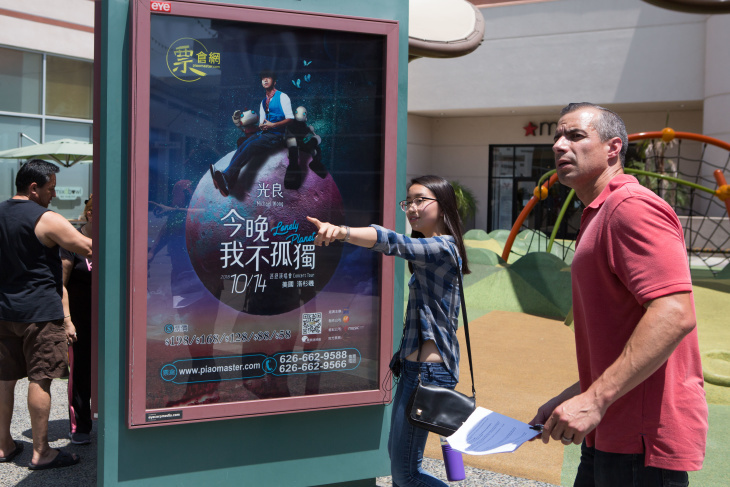 The company even helps stores translate signage into Chinese with staffers in the corporate office who can speak Mandarin, Taiwanese, Cantonese, Spanish and English. Santa Anita Park opened in 1934. 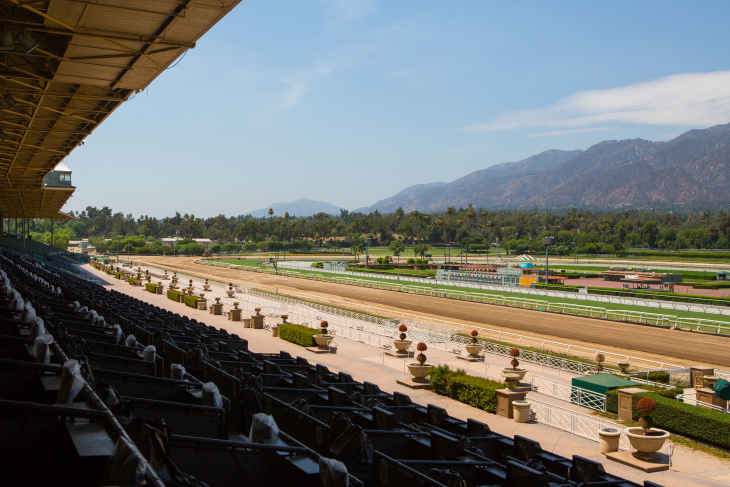 It's where the legendary horse Seabiscuit made a name for himself, and it's one of the most prestigious horse race tracks in the country. Live horse racing begins on September 28th, but fans can come any time of the year to watch races around the world and place bets. The park also hosts an array of events like 626 Night Market, a dream for Instagram-loving foodies. "It is very fun and it gets extremely crowded," said Thai. "Last time I went, everyone was at one point shoulder-to-shoulder." There's also Michelada Rumble, the VintageVibe Festival and a fall pumpkin patch. Thai even got her diploma on the race track, itself, when she graduated high school this past spring. 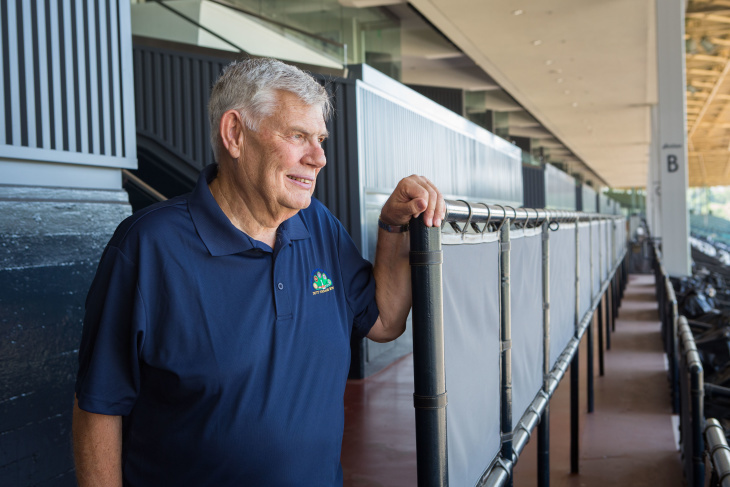 But Santa Anita Park has a dark past. 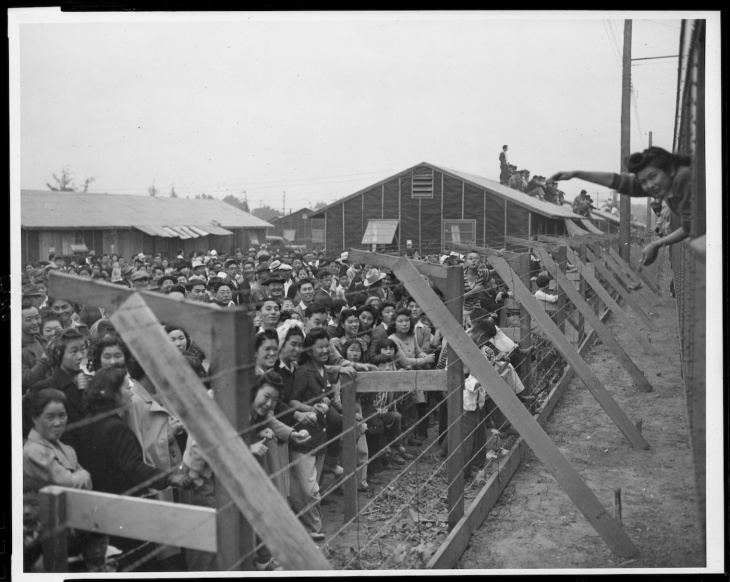 For seven months in 1942, the government temporarily transformed it into America's largest assembly center to process Japanese-Americans for wartime internment. 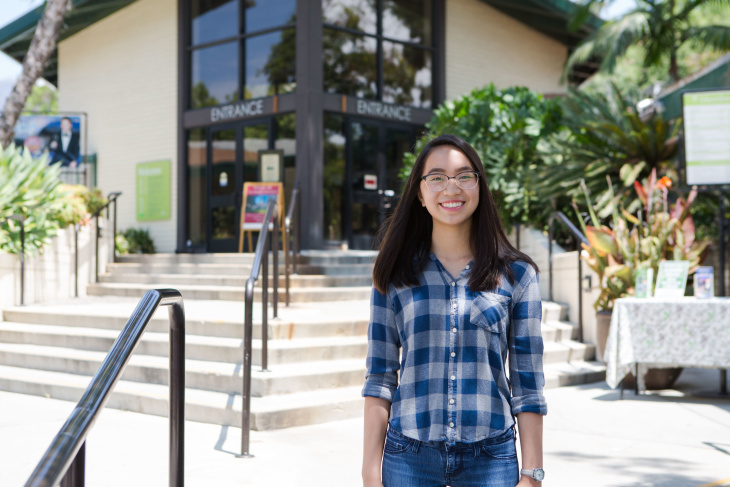 "This was an area where a lot of Japanese-Americans were sent to before getting sent to the internment camps," said Thai, who learned about this history in her last year of high school. 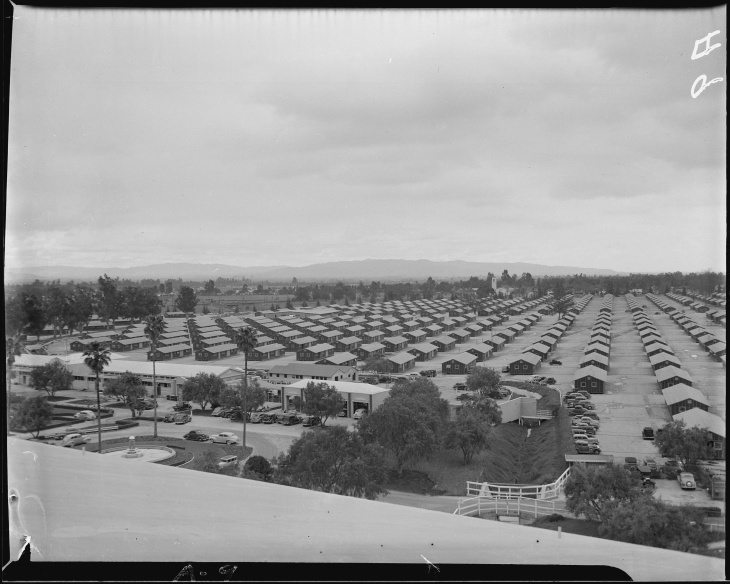 At its peak, 18,719 people lived on the grounds of Santa Anita Park. It's unclear how long people stayed, but it was long enough for some to organize a newsletter, classrooms and a girls' softball team. Thai said it was interesting to see how much things have changed in the region since then. "This used to be a place where Asians maybe didn't feel so welcomed, but now it's a place where Asians can come and feel like they're a part of the community." Arcadia Moon Festival, Saturday, September 29 - This Chinese celebration is timed for when the full moon is at its brightest. It has historically been a ticketed event, but will be free for the first time this year. There will be musical and martial arts performances, moon cakes to snack on, a lawn for picnicking and more. Los Angeles County Arboretum and Botanic Garden - This green space spans more than 120 acres and showcases plants from all over the world. The land it sits on was known by the earliest inhabitants as Aleupkigna, "the place of many waters," and later was the agricultural outpost Rancho Santa Anita. Gilb Museum of Arcadia Heritage - Learn about the city's past at this museum. Artifacts and pictures from its time as a processing center during WWII are on display, as well as details about its ancient past as the homeland for many Native American tribes. 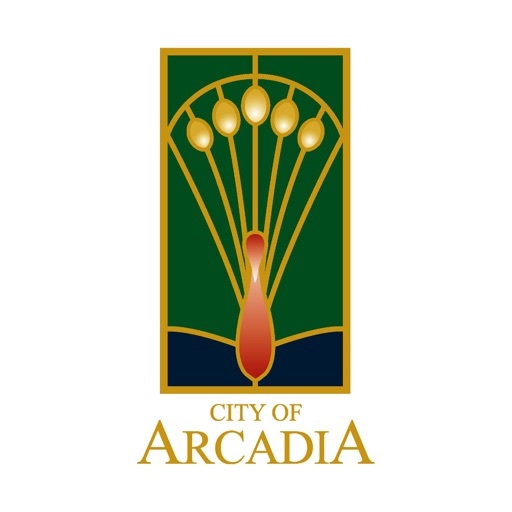 Downtown Arcadia - This pedestrian-friendly Main Street is a great way to tour the local businesses. For example you can catch some local acts at the Arcadia Blues Club or pick up a read at The Book Rack. 626 Golden Streets - Open streets events like CicLAVia have been majorly popular throughout Southern California. Bicyclists and pedestrians in the San Gabriel Valley took over the streets last year for 626 Golden Streets, and it cut through Arcadia right by Santa Anita Park. Watch out for more events like this in 2019. 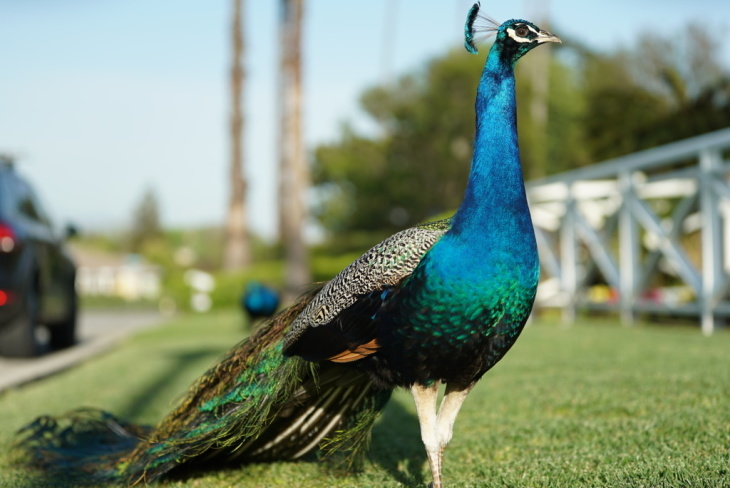 And how could we forget Arcadia's majestic peacocks? 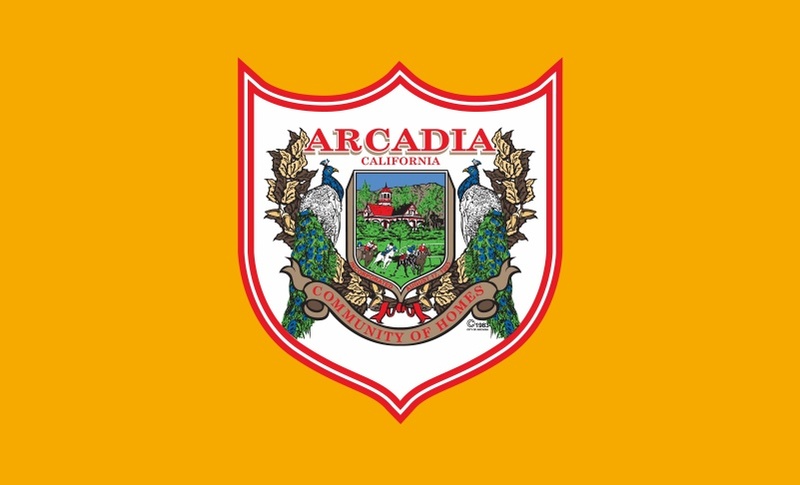 The city's beloved peafowl are iconic — so much so that they serve as the official Arcadia logo and appear on the city seal (and its flag). These birds are pretty to look at, but their honk-squawk can be a bit jarring. Take Two captured the glorious peafowl's less-than-glorious song in a recent installment of their "Hear in SoCal" series. If you visit Arcadia, look out for them crossing the road (they even have their own signs). Editor's note: A version of this story was also on the radio. Listen to it here on KPCC's Take Two.